PIERATA ( PIERRO x NOVEMBER FLIGHT) 2y Colt. Pierata after winning his first trial in 2017, at Randwick, Pierata then went on to run 4th in his first start at Warwick Farm. 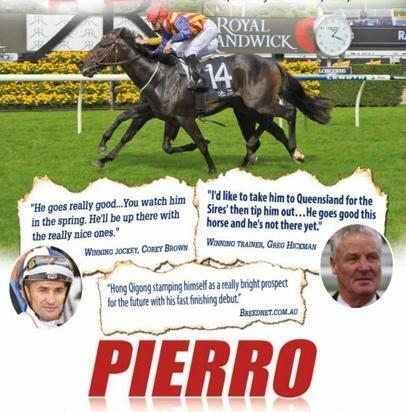 Pierata then won his next start at Randwick on the 24th April, beating another Pierro colt. Pierata jumped with them, travelled comfortably and always looked the winner. Pierata then had another comfortable open barrier trial win at Warwick Farm on the 15th May. As planned his next move was to the Gold Coast were he settled in well before a run in the Group 2 event. 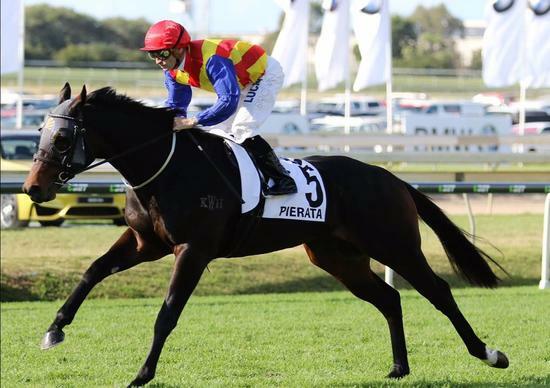 Pierata ran in the Sires Produce Stakes, Group 2 on the 27th May 2017, over 1400m. Pierata ran a gallant third. He pulled up very well after his first attempt at this level of carnival racing. For this reason he than ran in the Group 1 JJ Atkins Stakes over 1600m. From the widdest gate, Pierata was unfortunatley knocked from pilar to post. He ran a creditable 7th, only beaten just over 2 lenghts. Most importantly the wounds inflicted after being gallop on in running are healing well. 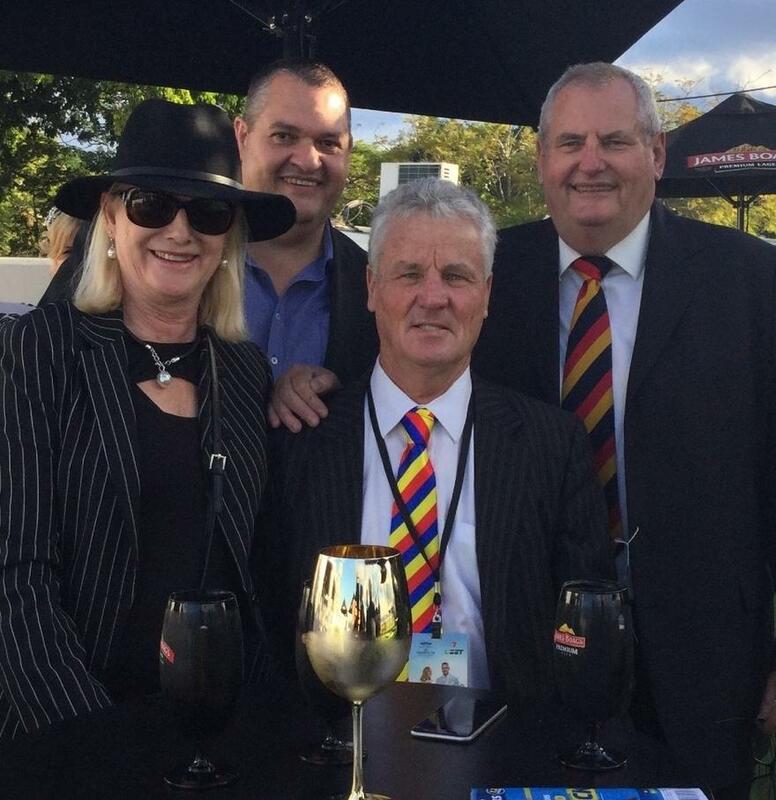 Pierata is currently spelling & having a well deserved rest at Beaudesert.